PARIS — French labor unions and business leaders struck a deal to overhaul labor laws. The changes include more flexibility for employers to reduce hours to prevent lay offs in times of "economic distress." Employers will pay a higher tax for using temporary labor. In exchange for flexibility, unions secured improvements to unemployment benefits and health insurance, as well as seats on the board of large companies. PARIS — French labor unions and business leaders struck a deal on Friday to overhaul swaths of France’s notoriously rigid labor market, moving to tame some of the most confounding rules in the 3,200-page labor code as the country tries to increase its competitiveness and curb unemployment. The changes would include giving employers more flexibility to reduce working hours in times of economic distress without incurring union strikes. High levels of compensation that courts can award to laid-off workers would be trimmed. The five-year period that former employees now have to contest layoffs would be reduced, a shift that Medef, France’s employers’ union, said would “reduce the fear of hiring” by businesses. President François Hollande has said the changes are needed to burnish France’s international allure as a place to do business, and the accord capped weeks of sparring among the five top labor unions and Medef. The labor measures would help address what Louis Gallois, Mr. Hollande’s investment commissioner, has called a “two-speed” labor market in France. Under that system, employees on long-term contracts enjoy extensive, costly job protections and benefits, while temporary workers, whose ranks have surged to a third of the French labor force, have minimal job security and relatively few benefits. In November, the government introduced a tax credit for companies, potentially worth a total of 20 billion euros ($26 billion), aimed at easing high employment costs. In exchange, business negotiators agreed on Friday, as a concession to unions, to pay higher taxes for short-term work contracts. Two hard-line unions, the Confédération générale du travail and the Force Ouvrière, rejected the offer as insufficient and refused to sign the deal, which was nonetheless binding because France’s three other main labor unions backed it. A formal agreement will be signed next week. The tax would help expand government coffers meant to support the unemployed while also nudging employers toward favoring long-term contracts. Employers would also pay somewhat higher contributions for private health insurance. The negotiations were clouded recently by a series of public episodes, including a government threat to nationalize an ArcelorMittal plant in France to preserve jobs. There was also the decision in the last week by the French actor Gérard Depardieu to take Russian citizenship to escape a proposed 75 percent marginal tax rate on incomes of more than 1 million euros ($1.3 million). Whether any of the changes will come fast enough to fix France’s problems is an open question. Some economists say that France could become the next sick nation of Europe if it does not improve the environment for investment and hiring. “Given the gap we still have between the level of labor market regulation in France and in countries like the United States, Britain and Ireland, it is very clear that when observers look at the outcome, they will say it’s a step in the right direction, but not enough,” said Dominique Barbet, the European economist for BNP Paribas in Paris. 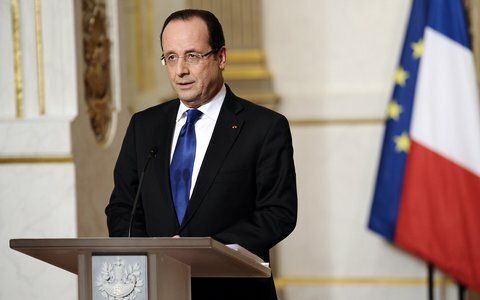 Mr. Hollande’s government is expected to sign off on the deal. He has said it will help him keep a promise of reducing unemployment, now at a 13-year high of 10.7 percent, by the end of the year. Youth unemployment is about 25 percent. By contrast, unemployment in Germany, which last decade made deeper cuts to labor costs and regulations than France is doing, is at 6.9 percent and joblessness among the young is around 8 percent. Mr. Hollande sought the accord after Mr. Gallois issued a stark assessment of the French economy in November, saying the country needed a “competitiveness shock” that would require politicians to curb the “cult of regulation” that Mr. Gallois said was choking business. Under current labor rules, many entrepreneurs in France hesitate to hire large numbers of workers. Some employers even resort to operating several companies with no more than 49 employees each instead of running larger ones that employ hundreds. That is because after the 50th employee is hired, a stack of new regulations come into play, including long firing procedures even for underperforming employees and requirements for numerous union representatives. Temporary contracts fall on the other end of the scale: they are often lower paid and offer far fewer protections, something that has alarmed French labor unions. More than 80 percent of new contracts issued in France are short term, a trend that has grown steadily as employers turn to them to escape the costly rules protecting permanent workers. Mr. Gallois’s report said that unless France relaxed its labor rules, the country would continue on an industrial decline that destroyed more than 750,000 jobs in a decade and helped shrink France’s share of exports to the European Union to 9.3 percent from 12.7 percent. The report also called for cuts to business taxes used to pay for government and France’s costly social safety net. While it will take time for any changes to take effect, France has already taken steps that could help it skirt the worst in coming years. A fiscal consolidation begun in 2010 is continuing, in which tax increases and spending cuts are being applied to bring the overall budget deficit down to 3 percent of gross domestic product in 2013, from an estimated 4.5 percent in 2012.